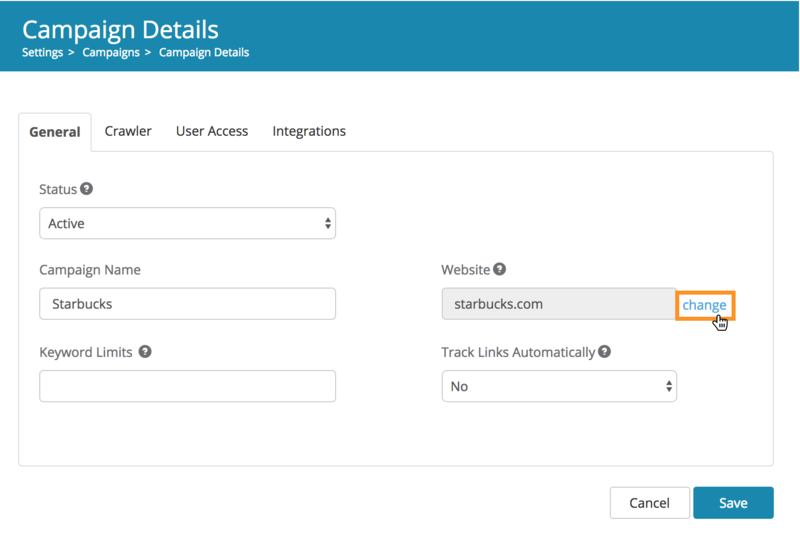 How do I change my campaign's tracking URL? 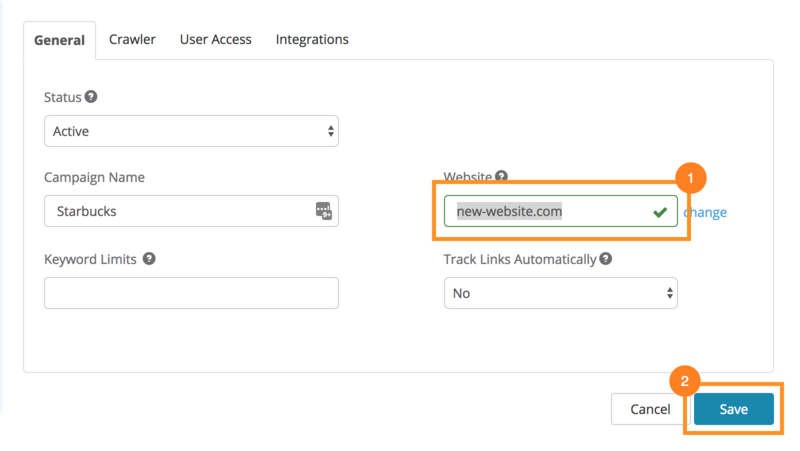 Note: The Campaigns page require Manager or Account Owner permission level to perform. Learn how to give these permission levels to other users here. 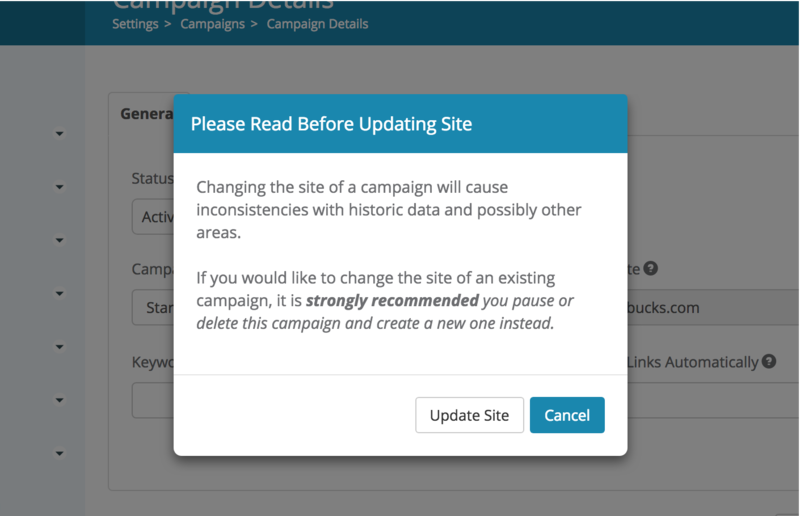 Your campaign's tracking URL is now updated. Please keep in mind this change will only affect future data, historical data will remain unchanged.